A council-run community centre turned community asset. This was one of the first transfers of an asset from a local authority to a community in 2006, and the only asset transfer in North Tyneside. Not only that but it is one of the largest ever made in this country. As a flourishing business, the organisation has been able to grow its staff numbers from 22 to 70 in the course of the last ten years. 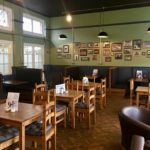 Once it was taken over by the local community, the organisation was able to flex and meet the needs of its community by adding a café, nursery and events side to the already flourishing room hire and tenanted space. In the final years of the last century, Linskill secondary school hung over the life of its community. It had been closed in 1984 after its amalgamation with a neighbour and had stood empty for 20 years. The school was due to be demolished in 2002 but the community realised that it held too many memories just to disappear and be replaced by housing. 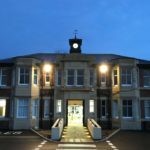 Thanks to a vigorous campaign, a development trust was established in July 2003 to complete the transfer that was able to transfer the ownership of the building from the local authority on a 50-year lease and a peppercorn rent. It has now been prospering for over a decade and its success means that the council has passed them over two more community facilities with a pipeline of even more when they are ready to take them over. This was an area reliant on industries that were in rapid decline by the time the 80’s came along. Shipbuilding, fishing, maritime trade and tourism at nearby Whitley Bay were all decimated at the same time, increasing unemployment in the area; an area of the country that had always been dependent on the public sector for jobs was even more vulnerable. 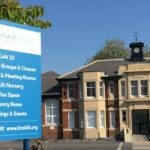 As an increasingly flourishing community business, Linskill and North Tyneside Development Trust was able to step in and create jobs for the area. Now they have 70 employees on the books and another 25 volunteers picking up valuable skills and experience. 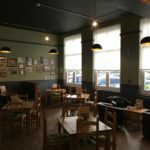 Power to Change’s grant of £81,429 to Linskill and North Tyneside Development Trust was made in 2015 from the Initial Grants Programme for the refurbishment and expansion of its café and growth of its events programme. It is just one of many services that the hub has incorporated to meet the needs of the community over the years. A nursery with place for 76 children, rooms and offices for rent and hire, weddings and even a Winter Wonderland have occupied the building, meeting the needs of the neighbourhood. The latest proud addition is a Men’s Shed for older men to learn new practical skills and have help reduce social isolation.